There’s nothing better than a designer who knows just how to rock their pieces to make you feel like you’re missing out on something great. When we talk about top Nigerian fashion designers, it cannot be complete without mentioning Lisa Folawiyo. The designer has become a style icon in her own right too. Fashion designer Lisa Folawiyo is known for her creative use of African print which she successfully fuses with modern tailoring and beaded embellishments to create a unique and beautiful aesthetic. Since starting her label in 2005 which was then known as ‘Jewel by Lisa’, Lisa has been an important leader for the Nigerian fashion industry and inspired a whole host of Nigerian designers. 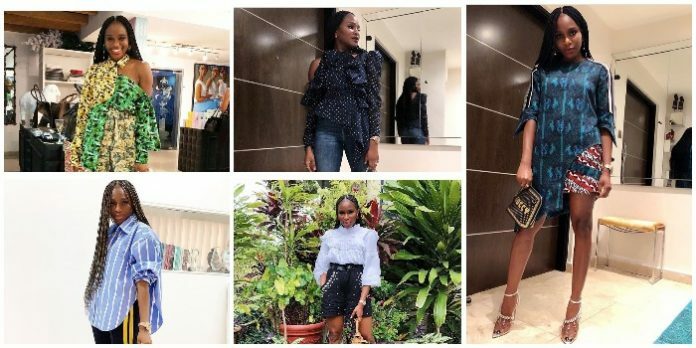 Lisa regularly shows at global fashion weeks and has broken down the barriers for Nigerian designers to showcase their work on an international platform. Lisa has also been featured in vogue. Check out the pictures below which proves why we want to raid her closet.